Q&A: Professor Craig Everett, Author of Young Adult Thriller "Toby Gold and the Secret Fortune"
Last year, Craig Everett, assistant professor of finance at the Graziadio School of Business and Management, published his first novel Toby Gold and the Secret Fortune (2012). Described as Harry Potter meets The Da Vinci Code, Toby Gold is part young adult thriller, part financial literacy project. The novel tells the story of orphan Toby Gold whose incredible skills with money lead him to uncover a dark financial mystery that only he can solve. 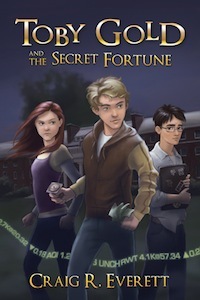 Toby Gold and the Secret Fortune, has been shortlisted as a ForeWord Reviews 2012 Book of the Year Award list of finalists in the Juvenile Fiction category. Pepperdine Magazine sat down with Everett to learn about the world he created and why financial literacy matters for today's youth. 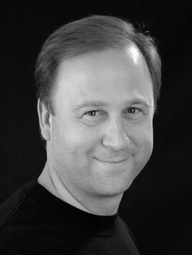 PEPPERDINE MAGAZINE: Where did the idea for Toby Gold come from? CRAIG EVERETT: Being a college professor and also being involved in financial literacy efforts, I’ve been a bit disappointed in the actual statistical results of financial literacy programs. The results have been mixed at best. Despite a lot of programs and efforts, youth financial illiteracy is still a huge problem. So, I tried to brainstorm additional ways, despite classroom instruction, that these concepts could be introduced and reinforced. Since fantasy novels are hugely popular with middle-grade kids, I thought this might be a good alternative source of financial education, and at least help them speak the language of business and money. The story started with the simple idea of a kid that is good with money. The rest of the story emerged gradually (all in my head—no writing) as I started reflecting on it. Once the general idea for the storyline emerged in my head, I felt compelled to get it all written down. How would you describe your hero and his journey? Toby Gold is a seventh grader in Wallingford, Connecticut who has always known that he is good with money but has no idea how good until he discovers a dangerous hidden society of money and intrigue that co-exists with the everyday world we all know. He stumbles upon this dark financial world one day when he discovers secret messages encrypted into the stock ticker crawl that moves along the bottom of the screen on the financial news channel. Toby's shock only grows worse when he realizes that the secret messages are directed to him! His unique abilities with math and money have been noticed by the wrong people, and Toby is quickly sucked into a high-stakes life or death financial conspiracy that he is only able to resolve by using his amazing skills with money. Is Toby modeled after yourself? Well, Toby and I are both good at math, but that’s as far as the similarities go. His personality is an amalgamation of characteristics of some of my own children. Did you get their feedback or input while you were writing? Absolutely. I have five kids and most of them provided feedback at one time or another. The book unites two passions that can, at first glance, seem very different: finance and literature. Why did you decide to write a book about financial literacy for younger readers? As a finance professor, I care a lot about financial education. In addition to teaching in the MBA program at Pepperdine, I also volunteer in public school classrooms teaching financial literacy. I just want to do everything I can to help kids prepare for their futures. Do you have concerns for the financial futures of the current younger generation? I have grave concerns. Previous generations have been able to get by without having much financial sophistication. The world is much more complex now. Young people need better training now in order to be able to avoid disaster—and they’re just not getting it. What are some of the most important things that young people (and the young at heart!) need to keep in mind for their own financial well being and futures, especially in the current economic climate? One message from the book is “save half.” The idea is that young people need to get used to the idea of living well below their means. People that do so can achieve financial freedom very early in their lives. Those that don’t are doomed to living with high financial stress for their entire lives. What is the best piece of advice anyone has ever given you regarding money? My dad always gave this simple advice: “Don’t spend more than you make.” This advice is good for individuals, businesses, and governments. And, conversely, what are some things that people should NOT be doing, in order to protect their assets? In uncertain times, I like to invest in sectors that are necessary regardless of the state of the economy (like energy) and that tend to appreciate along with inflation (like real estate). But as always, people should NOT put all their eggs in one basket. Diversification is especially important in times like these. What drew you to the study of economics as a student at Tufts University? Like most of the other fancy-pants northeastern liberal arts colleges, Tufts did not have any sort of business major. Undergraduate colleges in that part of the country tend to think that business is beneath them. I was interested in business, though, and economics was the closest thing I could find! Going back to writing, what drew you to fantasy or thrillers? I try to read the same books that my kids read. They love the middle-grade fantasy genre because it always has fast action while being imaginative. I like the idea of writing a book that most kids could read cover-to-cover in a single Saturday. As a professor, my writing is predominantly non-fiction research. Writing fiction is actually a lot harder, but at the same time it’s more fun. What was your reaction upon learning that you’d been nominated for a Foreword Reviews 2012 Book of the Year award? I was thrilled. The book seems to be very well received in general. Teachers and librarians like it because it’s entertaining while addressing a very important subject. And to wrap things up, when you’re not teaching, researching, or writing, what do you like to do for fun? I like to read, go to movies, swim, golf, and play with my kids.